Montreal-based Smardt Chiller Group, a manufacturer of industrial cooling equipment based upon oil-free magnetic bearing technology, has formed a joint venture with TICA Group of China, a leading manufacturer of high-efficiency ventilation solutions with the aim of significantly increasing the manufacture and sales of Smardts magnetic-bearing chillers in Asia, particularly, and globally. TICA’s factories and R&D facilities in China and Kuala Lumpur will support further expansion of Smardt’s oil-free centrifugal chiller product range in China and global markets, according to Roger Richmond-Smith, CEO of Smardt. TICA holds a controlling interest in the new joint venture, which plans to accelerate development of comprehensive oil-free solutions in its key global markets of metros, data centres, pharmaceutical, manufacturing, healthcare, automotive, hotels, district cooling and process cooling, he said. Combined the joint venture employs about 2,500 people. Inside the chillers are Turbocor compressors made by Danfoss utilizing magnetic bearings and variable-speed drive that together provide important energy and operating efficiencies. 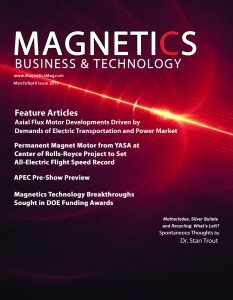 The magnetic bearings replace conventional oil-lubricated bearings, eliminating friction losses, mechanical wear and high-maintenance oil management systems to deliver chiller energy savings of 35 percent and more over conventional chillers, says Smardt. 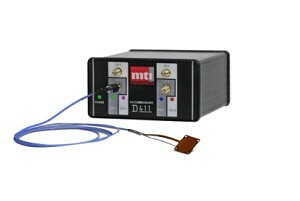 The compressors main moving part, the rotor shaft and impellers, is levitated during rotation by the digitally controlled magnetic bearing system. 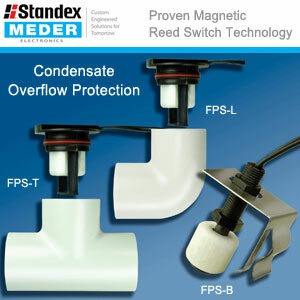 Position sensors at each magnetic bearing provide real-time feedback to the bearing control system, 120 times each revolution, ensuring constantly centered rotation. According to Danfoss, its Turbocor oil-free centrifugal compressors are specifically designed for the HVAC industry. They use magnetic bearings, two stage centrifugal compression, variable speed permanent magnet motor and intelligent electronic controls to achieve their high efficiency. 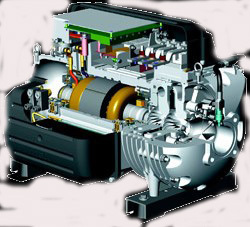 The compressors are sold to a number of HVAC manufacturers worldwide. 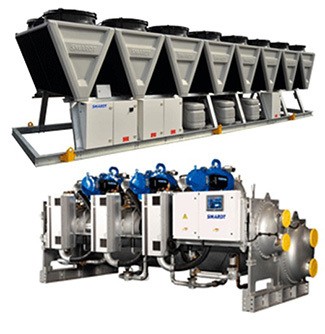 Arctic Chiller Group of Brompton, ON, for example, was recently recognized as a finalist in the 2019 AHR Expo innovation awards for its ArcticChill magnetic bearing chillers. Other OEMs that have incorporated the systems into their equipment include AAON, Daikin Applied, Multistack, McQuay and Schneider Electric. Smardt was founded in Montreal in 2005 by Richmond-Smith. Earlier, he was a founder of Turbocor whose magnetic-bearing compressors are now manufactured by Danfoss. Danfoss held a 50% stake in Danfoss Turbocor joint venture beginning in 2004 and acquired full ownership in 2013. “I’m delighted that this joint venture is now in place,” said Richmond-Smith. “Our last joint venture, between Turbocor and Danfoss, powered the worldwide development of oil-free magnetic bearing technology that we pioneered in Australia 25 years ago. This TICA-Smardt joint venture aims to bring chilled water plant and air handling systems together, driving oil-free technology through to optimize whole-building solutions. For further info see www.smardt.com and www.tiachina.com.